Victorian inspiration meets laid-back style on this cotton top. Victorian inspiration meets laid-back style on this cotton top. 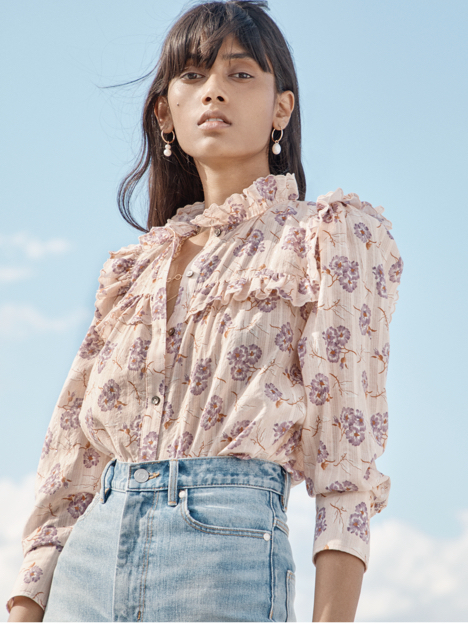 Its statement silhouette showcases saturated colors with our signature puffed sleeves and ruching down the front that can be tucked into denim, trousers or skirts.